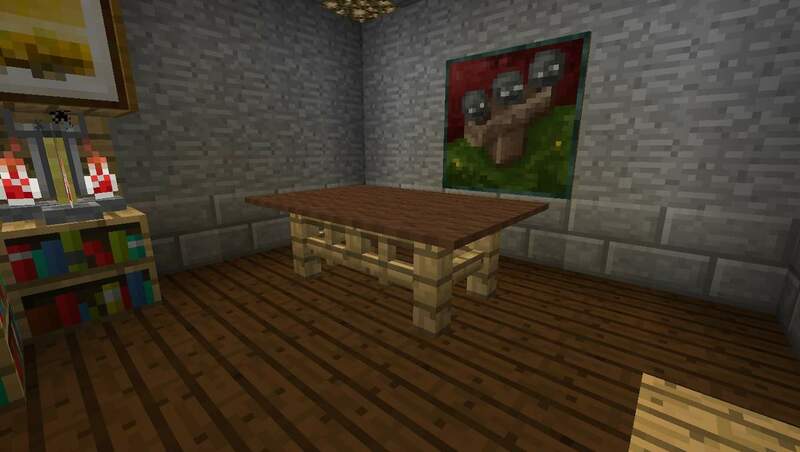 Here is one of the most real looking tables I’ve seen as a traditional table. You know 4 legs and a top. Its pretty straight forward and only 3 items are need. Place the gate for the center of the table. Add 2 fence posts to each side of the gate. Copy step’s 1 and 2 for the other side. Place the carpet on top.